The cat’s meow in tabletop role-playing games (RPGs) for the last several months has been Monte Cook’s Numerera. Set one billion years in Earth’s future during a time known as the Ninth World, Numenera is a Kickstarter-funded science fantasy RPG that embraces as its core concern one of the fundamental dynamics of most tabletop RPGs, namely the player-driven plundering of the long-lost magicks, knowledge, and treasures of the ancient past. On its own, this would not be remarkable. Virtually every clone or derivation of the grand-daddy of tabletop RPGs, Dungeons and Dragons (D&D), adopts this game focus. This is most likely a function of the high medieval setting pastiches used in these games and the heroic questing myths that underpin them, although one cannot discount the basic math of a Gordon Gecko-esque “Greed is Good” calculation for most players either. Regardless of why, this plunder and riches dynamic is fundamental to most RPGs, tabletop or computer-based. So, been there, done that, yeah? Not necessarily. What I find intriguing about Numenera is that the game’s set-up attempts to flip this dynamic on its head and provide a different logic for the core drama of the game. Instead of privileging plunder for plunder’s sake by a band of murder hobos roaming the game setting or merely the treasure for experience game mechanic often found in early versions of D&D and its later clones, exploration and discovery are the key logics. One can see this most clearly, I think, in the manner in which the game presents historical technology in both its setting and mechanics. 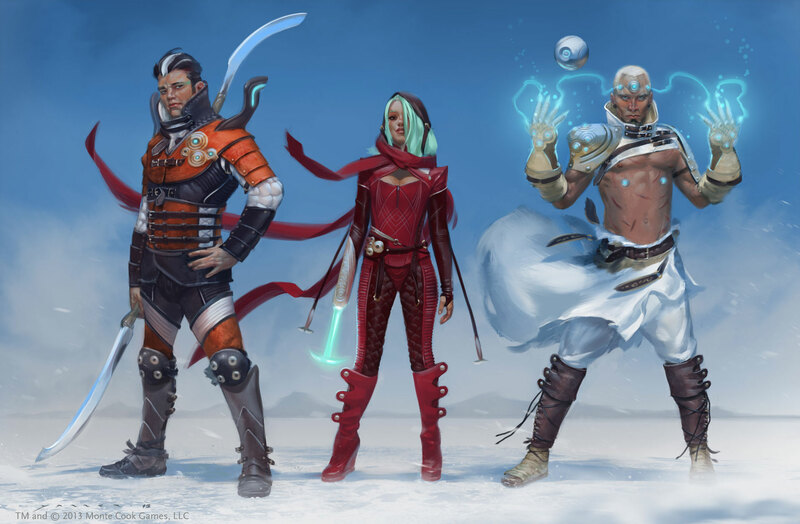 The Ninth World setting of Numenera is a future Earth awash in the technological remnants of a billion years of human development and creation. 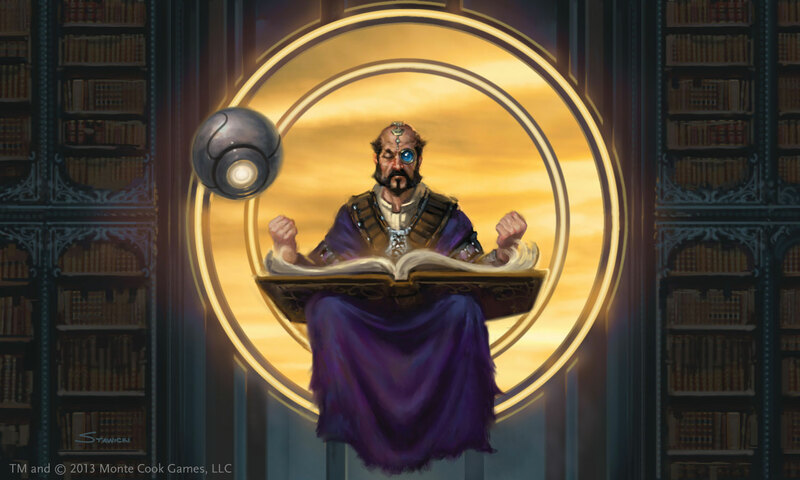 Known in game terms as “the numenera,” the remains of these bygone eras – devices, vehicles, weapons, cybertech, household goods, nanotechnology, robots, engines, drugs, mutant genomes, and so on – surround the peoples of the Ninth World and serve as the raw materials for survival and social betterment at the core of the game. As author Monte Cook notes in the introductory chapter, “The Ninth World is about discovering the wonders of the worlds that came before it, not for their own sake, but as a means to improve the present and build a future.” It is this weird world of ancient underground engines, invisible nano-spirits, and esoteric floating landscapes built by the technologies of the previous ages that player characters (PCs) explore, scavenge, and campaign in. 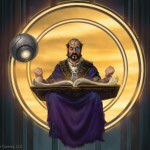 The Floating Scholar, TM and © 2013 Monte Cook Games, LLC. Core game mechanics reinforce this focus on technology discovery and wonderment. 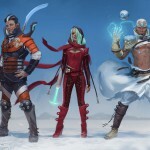 For instance, the core PC classes – glaives, nanos, and jacks – while certainly representative of core RPG class archetypes, have connections to numenera tech laced throughout their builds, as do the character descriptors and foci used to provide nuance for a PC. In addition, PCs do not gain experience points (XP) from killing monsters or hoarding gold; instead they earn XP during sessions from GM intrusions (an unexpected complication during the game) and between sessions as rewards for making amazing new discoveries that can be put to use in some way. Numenera’s system of technology classification is also interesting in how it categories physical numenera tech. Beyond the standard inclusion of PC equipment, the game breaks numenera tech down into types of numenera and how they were obtained. The types of numenera are cyphers (cobbled together pieces of one-time-use tech); artifacts (more permanent tech devices leftover from previous ages); oddities (interesting and weird tech objects w/ little to no game value); and discoveries (a catchall category for devices included for verisimilitude). The four kinds of numenera provenance are scavenged (something found in an ancient ruin), cobbled (different tech items kit-bashed together), bonded (different tech mixed in a more artistic fashion), and fashioned (rare devices created by peoples of the Ninth World based on old tech). 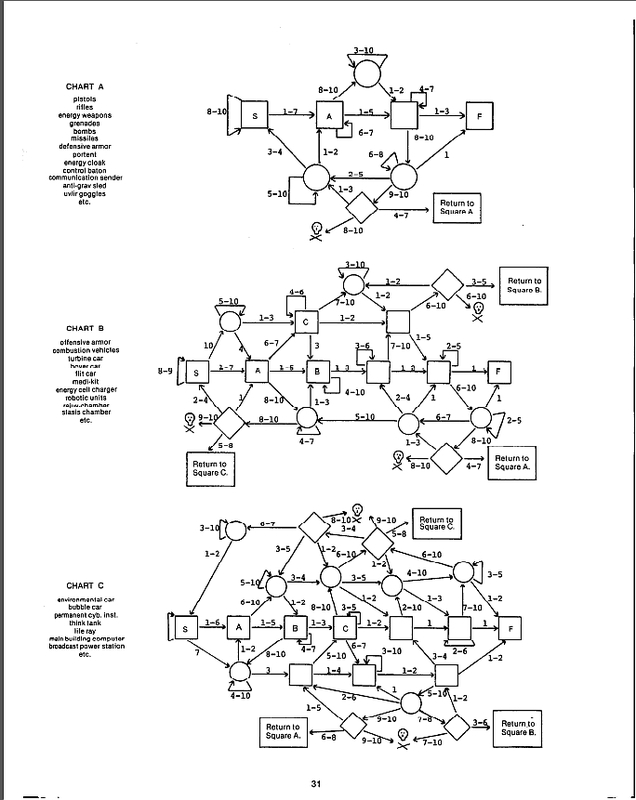 Tech Use Flow Charts from Gamma World (1978). Of course, Numenera is not the first tabletop RPG to embrace the use of modern and future technology in a fantasy or quasi-fantasy setting, nor is it even the first science fantasy RPG. From the very early years of tabletop RPG history (aka the disco-powered 1970s), TSR games like Metamorphosis Alpha and Gamma World made similar attempts to harken back to the spirit of mid-20th century science fantasy pulp stories by Robert Heinlein and L. Sprague de Camp, as well as the Dying Earth stories of Jack Vance. However, in those RPGs, the presentation and use of technology seems rather utilitarian compared to Numenera. 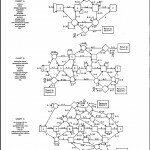 In looking at an RPG like the post-apocalyptic Gamma World or the D&D module Expedition to the Barrier Peaks, the focus is on game mechanics like weapon damage and complex flow charts for figuring out what a piece of technology is and how to use it (very much a Gygaxian mechanic characteristic of that era of RPGs). There’s little to no attention to contextualizing the technology or encouraging wider discovery, which is interesting considering the origins of tabletop RPGs in the home-brew culture of late 1960s-early 1970s wargaming. What Numenera perhaps represents then is an intriguing attempt to embrace and actualize maker culture in an RPG. With its focus on tech discovery, exploration, and practical application; its encouragement of player and GM creation of new numenera; and its emphasis on the “everything old is new again” motif; Numenera repurposes the standard plunder tropes of fantasy RPGs in entertaining ways. And what could be more maker than that? Main Post Image and Body Images #1 & #2 are TM and © 2013 Monte Cook Games, LLC, used by permission through Monte Cook Games’ Fan Use Policy. Body Image #3 comes from James M. Ward and Gary Jaquet, Gamma World (TSR Rules, 1978), 31. Monte Cook, Numenera (Monte Cook Games, 2013), 12. History as it can be played: A new public history?